So you’ve got a good camera bag already. And are you now looking for the best case or wallet for your filters and memory cards? Having the best memory card holder would mean that you’ve got another layer of protection of photos. 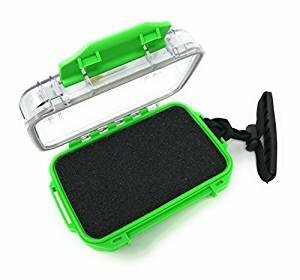 Not only the SD card case will protect your invaluable photos, but it will allow you to organize your SD cards with ease. This is rundown of the best SD memory card bags and cases this year. 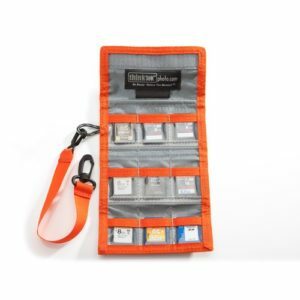 Top of the list is JJC Deluxe card case holder, which can store up to 3 XQD Cards and 4 SD cards. This product is made of high-quality material and nicely made. The case is a great way to organize all of your media cards. The case will fit into any small area in any camera case. Featuring the tough, water resistant case that Pelican is known for, the case is insurance against disaster. 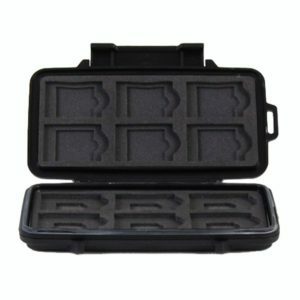 The removable insert liner holds up to 12 SD cards-6 mini SD cards and 6 micro SD cards in snug, form-fitting cutouts. It simply looks good, it holds the cards, it opens and it closes. This is the best SD card wallet on the market but it could be better. 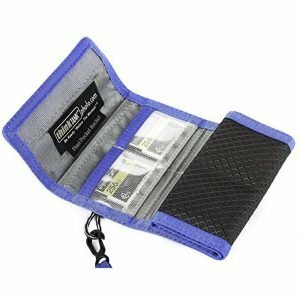 If you want a convenient wallet for up to 9 SD memory cards that fit easily in your pocket or attaches to your belt or bags, this is the ideal wallet. The wallet can be attached to clothing with included lanyard. Everything Think Tank makes is bullet proof, and this is no exception. This is a great little edition to you photo gear. I love the design of this memory card case. How many memory cards have you got? There are more than enough slots you can place in this holder from VKO. This case will keep your memory cards from shock and moisture. In addition, it’s a great way to organize your cards in a safe case. This is the best memory card holder for most wedding photographers. 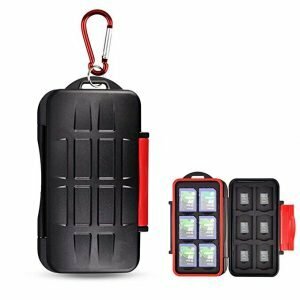 I really love this SD card case for its protection from the weather, water, damp, dust. 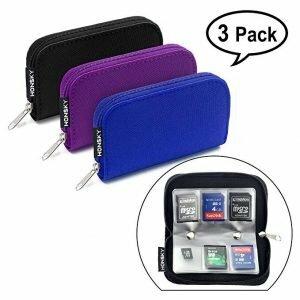 This zippered protection SD card holder has 18 card compartments for SD card, and 4 bigger for CF Card. It’s suitable for most photographers with a lot of memory cards. Lowepro is one of the best brands that I really like. 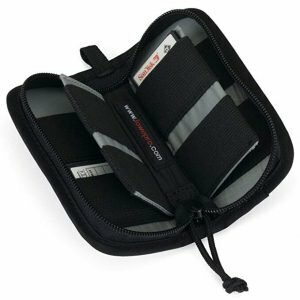 This Lowepro Durable Memory Wallet can store up to 12 CF or SD cards. 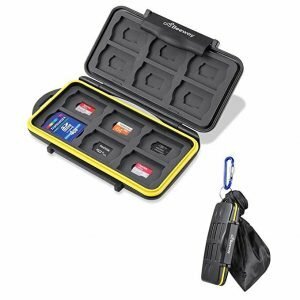 If you want the best waterproof SD card holder, I highly recommend this Guardian Hunting memory card storage case. 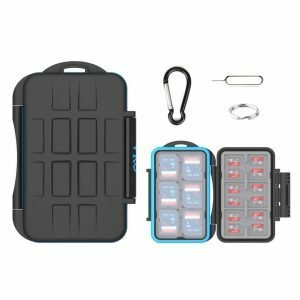 For just under $10, the Eco-Fused memory card case can be your travel companion to store sim cards, coins, car fuses, guitar picks, button cell batteries, or even fishing hooks. The SD card case or holder is cheap. However, its benefit is much more than you can imagine. It will seal your photo storage from unexpected damages. Furthermore, the best memory card case will help you organize your SD cards well. It’s a must to have a few at home and in your camera backpack. 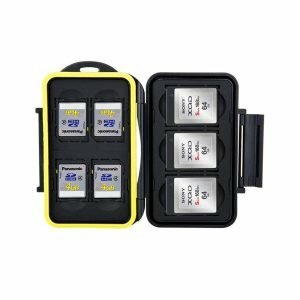 The list above will surely help you buy the best bags and cases for SD cards.